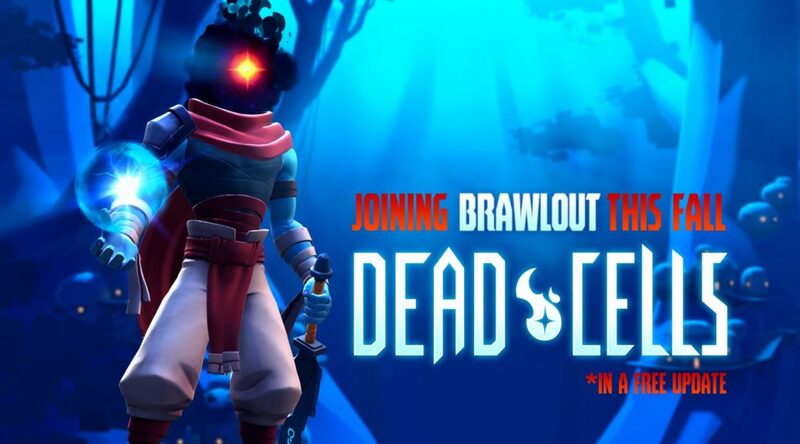 The headless protagonist of Dead Cells is joining indie party fighting game Brawlout. Dead Cells will be added as a playable character in Brawlout via a free update this Fall. Hot on the heels of Dead Cells’ upcoming console release, the hard-hitting-hero is being added the ranks of other indie darlings that have joined the Brawlout fray including Hyper Light Drifter, Guacamelee!, and Yooka-Laylee. Dead Cells will hit the stage as a multi-skill, multi-weapon expert that uses his battle-worn shovel, sizeable hammers, and sword-attack-arsenal combined with special magic effects to lay combatants flat. Check out the new trailer, announcing the Dead Cells addition here.